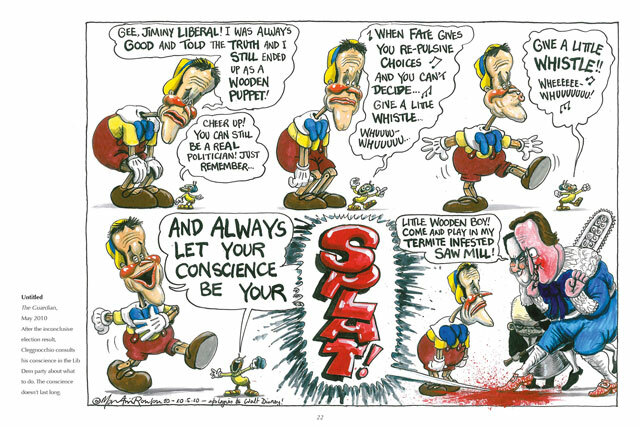 Between 2010 and 2015, Martin Rowson documented the highs and lows – mainly the lows – of the Tory-Lib Dem coalition week after week in The Guardian, as well as in The Morning Star, Tribune and many other publications. 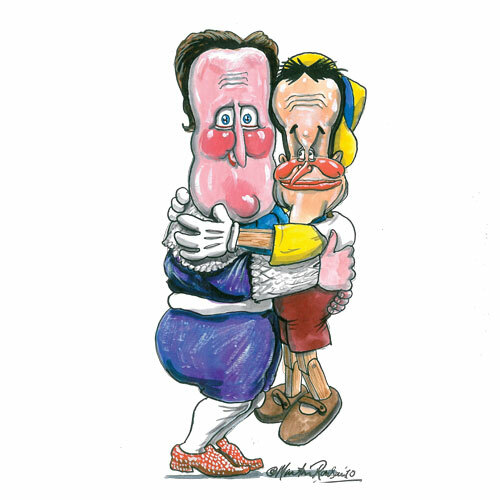 This book collects Rowson's best, most brutally funny cartoons from a period that began with a "big, open, comprehensive offer" to Nick Clegg, continued on through riots, phone-hacking, double-dip recession and endless debates on Europe, and will ended with the general election in 2015. Accompanied by witty explanatory text, The Coalition Book takes a biting satirical look at Cameron and Clegg's five years in charge. The book contains a foreword by Will Self. "An inky ninja running riot in the corridors of power." "Martin Rowson's cartoons aren't just all sorts of comic genius – their exposure of the wrongdoings of those with power make you want to have a revolution, and thus pose a mortal danger to the status quo." 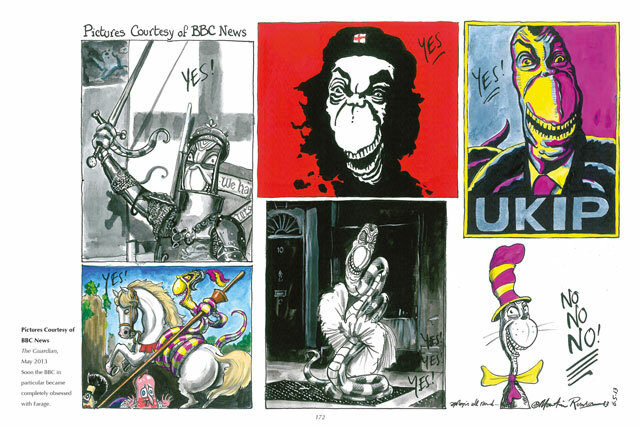 "Sending excoriating Exocets straight down at our current leaders, Martin Rowson is a great draughtsman and a sharply well-informed political critic with a wicked eye for detail as well as for the big picture." 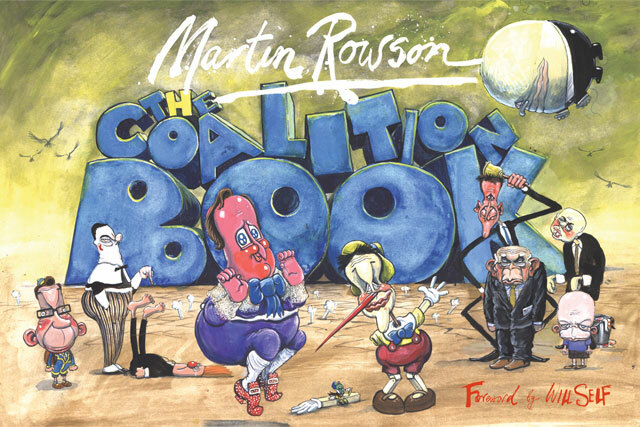 "I'm astonished by the phantasmagorical display of political Camfoolery oozed onto every page of The Coalition Book, without restraint and with masterly execution... Rowson is a master of inky invective."